Open trails ahead in 2016! So this is my last post of 2015. Where did the year go!? I don’t really do an “end of year” recap post. I prefer to look ahead rather than dwell on the past. I’ve been enjoying a week off from work to enjoy the holidays and have been taking stock of everything I’ve done in 2015 and thinking about what I want to accomplish in the new year. In 2016 I plan to be more active and share posts more often here on the blog. I have a long list of places I would still like to explore and it seems like that list grows longer every day! There are several new places I’m looking forward to visiting in the coming months. Both Jubala Village Coffee and Cocoa Cinnamon are scheduled to open 2nd locations in early 2016. Trophy Brewing is also high on my list. I’ve been to the original brewery / taproom but they just opened their second and much larger space in Raleigh just last week. North Raleigh is also getting a Duck Donuts shop which should be open by the end of January. So it’s looking like there will be plenty of coffee, donuts, and beer on the blog in 2016! In addition to new places opening soon, there were several restaurants that came on the scene in 2015 that I still need explore. At the top of my list are Standard Foods and Death & Taxes in Raleigh as well as Bar Virgile in Durham. Yeah, I know Bar Virgile technically opened in late 2014, but I never made it there this past year so it’s still on the list. Each of these spots has received great reviews from my foodie friends and I’m excited to check them out for myself in the near future. I realize I tend to focus on things happening in Raleigh and Durham, but I’m hoping to branch out and explore more areas of the Triangle in the coming year. I finally made it down to Saxapahaw in 2015 and I’m already making plans to go back again soon. I’d also like to make more trips to Pittsboro and get to know Chapel Hill and Carrboro better in 2016. I was actually over in Carrboro just yesterday visiting Gray Squirrel Coffee and plan to feature them on here on the blog in the next few weeks. Of course there is more to exploring than eating and drinking. I have lots of running plans for 2016 like running the All American Half Marathon in Fayetteville this April. As I train for this race I’m hoping to explore new areas around the Triangle to run. 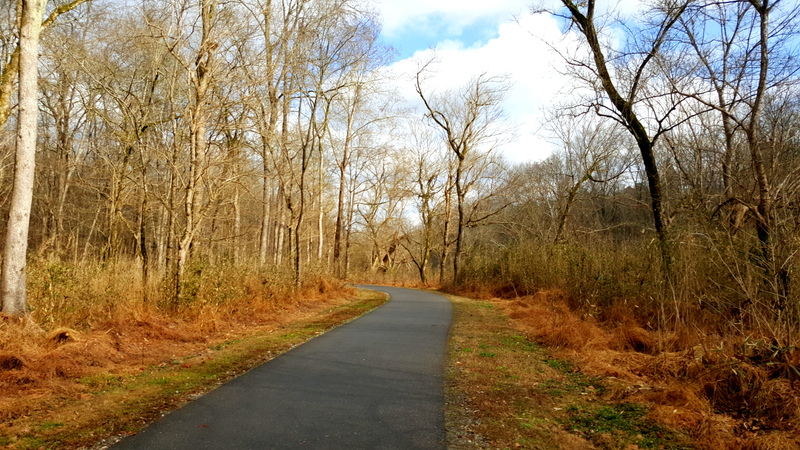 There are many miles of the American Tobacco Trail and Umstead Park I have yet to explore! Looking ahead I think 2016 is going to be a great year filled with change and many new exciting adventures. Thanks for continuing to follow along as we explore the Triangle together here on the blog. I look forward to exploring and sharing even more with you in the months ahead. Here’s to more exploring in 2016 and a Happy New Year! Thought that might get your attention! Looking forward to more donuts in Raleigh. happy New Year Mike! Happy New Year John! Maybe in May you will want to join our Mountain to Sea trail relay race?? New adventures! Katie that actually sounds very interesting! I will definitely check it out. Sounds like a fun race – I will follow up with you! Thanks! Hope your new year is off to a great start! When you head to Pittsboro – try the lemon ricotta hotcakes at Small B&B Cafe, the Boston Creme doughnuts at Phoenix, and walk it off at Rock Ridge Park – an often overlooked tiny paved walking loop with a zipline. Your welcome! Tara – Thanks so much for these Pittsboro suggestions! I keep hearing about Phoenix Bakery. Definitely on my list. The Small B&B cafe sounds great too. I also love the idea of checking out the Rock Ridge Park. Thanks so much!